Motorboat & Yachting: Scorpion RIBs has revealed details of its latest model, the Scorpion 1080 Jet Lander, which will expand its range of 10m superyacht tenders. RIB manufacturer Scorpion has announced that it will be launching a new 10m model in the form of the Scorpion 1080 Jet Lander. 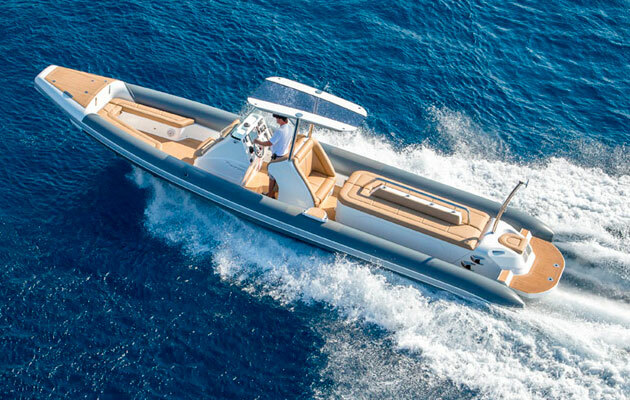 Designed to serve as a superyacht tender, the new arrival has enough seating for 16 people and can also serve as a platform for wakeboarding, swimming and diving, the firm added. 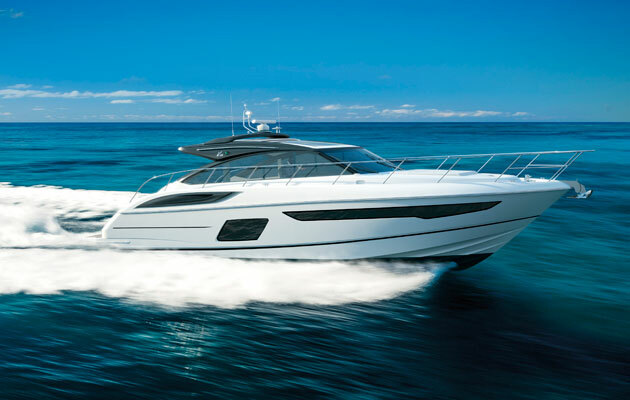 Engine options come in the form of in-board Hamilton jet drives, ranging from 370hp-480hp, which adds an extra element of safety for watersports users. Key features include a set of lightweight carbon-fibre beaching steps (pictured right), which offer a more elegant way of getting in and out of the water than your standard swim ladder. Based on the same hull as the popular Sting model, the Scorpion 1080 Jet Lander should offer a smooth and dry ride for all passengers. Prices and launch dates are yet to be confirmed, but Scorpion is due to exhibit at both the Cannes and Monaco Yacht Shows this year, so the wise money is on a September reveal.